We all love a trip abroad. Whether for business or a family break, a romantic weekend away or that trip of a lifetime with friends, it’s always great to be sitting on that plane, drink in hand, thinking of your final destination. You’ve spent weeks planning where you’ll go, what you’ll see and what you’ll wear. The cases have been checked repeatedly and your travel guide has been a constant companion during the hours before bedtime. However, imagine after all that you reach the airport to be told you can’t board your flight. If you’re thinking about a trip to the United States any time soon, it could happen to you. As of last month, all UK visitors travelling to the country are required to possess a biometric passport. Those travellers wishing to apply for the Visa Waiver Program (VWP) online, allowing stays of up to 90 days, must have one. First introduced in 2006, biometric passports are now the most common type of passport in this country but estimates show that up to one million Brits may be using the old versions. If you want to renew, a number of passport application forms can be picked up online and sent in. 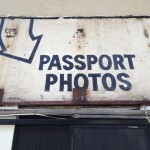 As has always been the case, ensuring your passport photo meets requirements is vital. You don’t want to spend all that time on an application only for your photo to be rejected. 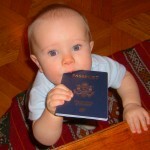 The passport office includes a full list of guidelines on its website but we at PasPic are also on hand to help. If you have any concerns or questions relating to the perfect passport photo, simply get in touch today with a member of our dedicated team. 99.5% of all our photos are approved on their first submission so you can be sure you are in safe hands. We offer a simple online passport photo service and if your picture isn’t approved first time, we offer a full money back service. So if you want to know more about applying for a passport or renewing your passport to meet the new biometric standards, get in touch today.